Photo of the Week. A new day. Astronomy news for the week starting Friday, August 28, 2009. The Moon waxes through its gibbous phase this week, as it heads toward full on Friday, September 4th. 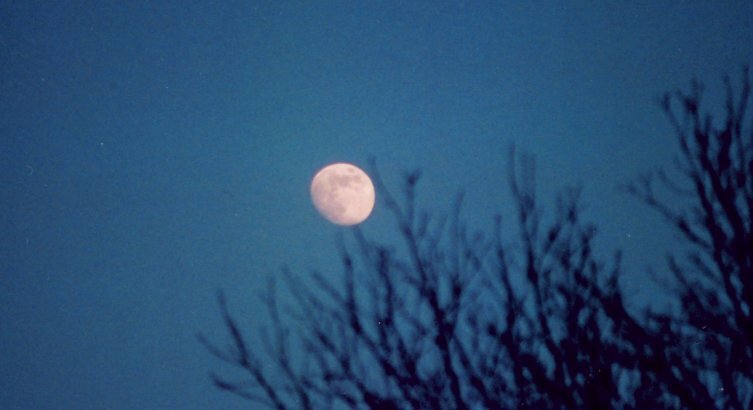 The night of Thursday, the 3rd, the not-quite-full Moon will thus rise just before sunset. The evening of Friday, August 28th, finds the Moon well to the east of Antares in Scorpius and above the Scorpion's two-star Stinger. 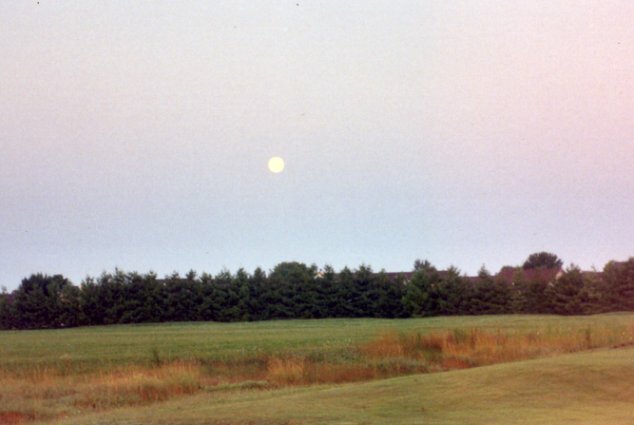 Then the last day of the month, the Moon passes apogee, where it is farthest from the Earth. The night of Thursday, September 1st, finds the Moon a bit to the west of Jupiter, while the following night it will be closer, but to the northeast of the giant planet. Several hours after the Moon passes Jupiter, it zooms past and to the north of Neptune. Jupiter plays games with this very distant planet. Last May, Jupiter passed Neptune while going easterly, then when it entered a faster retrograde motion (the result of the Earth passing between it and the Sun), Jupiter passed the god of the sea again in July going west, making Neptune now to the east of Jupiter. Once Jupiter resumes its normally easterly motion, they will pass again next December 19. In the evening, Saturn and Mercury are truly out of sight, both awaiting conjunction with the Sun. Too bad too, as on Friday the 4th, the Earth passes through the plane of the rings (which it does twice every Saturnian orbital period of 29.5 years), and the ultrathin rings disappear from view. But Jupiter rescues the night. 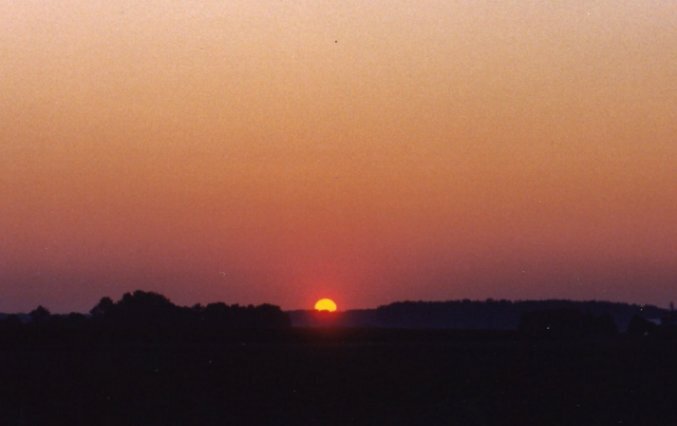 Now well up in the southeast at the end of twilight, it passes the meridian to the south at midnight Daylight Time. Then, a bit over an hour later, around 1 AM Daylight, up comes Mars as it enters southern Gemini. Not to be outdone, Venus next rises on the scene around 4 AM, still unmistakable in its brilliant glory. Though rising ever later, it still announces itself over an hour before the beginning of twilight, in Cancer, this week passing beneath the Beehive Cluster (making a fine opportunity to find the rich set of stars with binoculars). One of the giant constellations of the sky now falls to the southwest in early evening. Ophiuchus, the Serpent Bearer (and the embodiment of medicine), entwined in mythology by Serpens, the Serpent (which comes in two parts, Serpens Caput the Head, to the west, and Serpens Cauda, the tail, to the east), stands as a huge rough pentagon to the north of Antares. Above him, to the north, lies Hercules, the great Greek Hero of ancient times.